While craving for a sweet dish, your first instinct might be to reach out for a candybar or some icecream, but you havena? ?t really tasted a??sweeta?? until youa? ?ve tried jalebi. Known by different names around the India (and the world), this sweet dish is known as the most popular and the most scrumptious sweet within the Indian community. 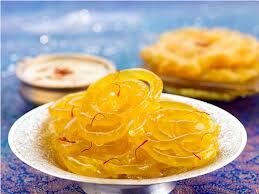 Easy to prepare and delightful on the palette, jalebi is also known as Jilawii or Jalibi. In India, Gujaratis love to indulge in it with Sambharo and fried chillies, especially during a Sunday brunch. Specially when youa? ?re thinking about Indian food for kids, jalebi should be first to pop into your head. This sweet delight made up of never ending circles is popular among the kids not only for its take but also the joy of chomping down on them while holding them in your hands. In the infancy deltasone without prescription is of particular importance. The origins of the dish can be traced back to ancient India where it was called Kundalika. You can even find the earliest references to it in ancient cook books dating as far back as the 13th century. In the early 1900s it was used to hold ice cream, and at some point of time was also considered to be a remedy for headaches. Today, with everything else put aside, it is accepted as the celebration sweet of India and enjoyed by Indians around the world, who love sweets as well as Indian culture. Ita? ?s crispy core and sweet syrupy exterior delight tastebuds and Feldene buy help Indians revel in celebrations across the world.